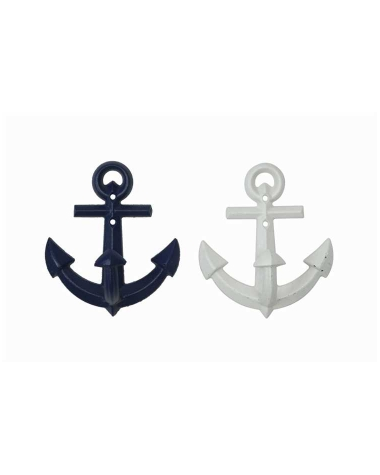 Add a splash of nautical decor to your wall with this pair coat hooks shared like anchors. The set includes one navy blue and one white hook and colored screws for immediate hanging. 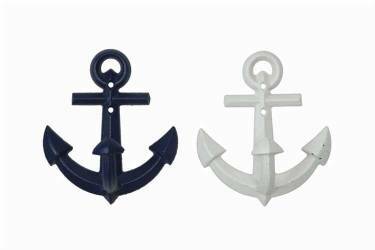 These sturdy hooks are great for either indoors or out and add a nice boaters flair to your home.